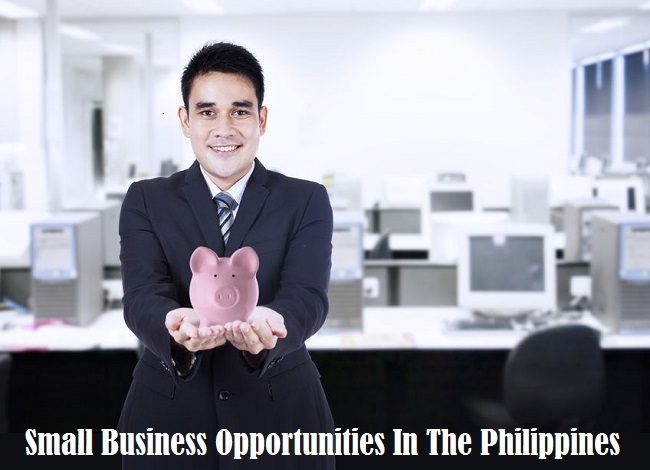 Identify small business opportunities in the Philippines now and get started! Don't wait until your contract abroad expires or until you retire before you start your own business. You have the advantage of being gainfully employed as an Overseas Filipino. Venture into a business using your specialized skill/knowledge, experience and capital that you gained from working and living abroad. Step 1: Create a list of potential small business opportunities in the Philippines and choose your top three. Write down ideas as they hit you - do not edit your thought. Make your list as ideas flow. Look for possibilities when reading the newspaper, or watching a talk show on TV, or browsing the Internet. Consider "profitability". Demand and supply affects profitability. Demand is the desire of people to possess or make use of your product or service while supply is the amount of competition you face for your chosen business idea. Reflect on your knowledge and passion. A business that you know best or are willing to learn and excites you the most would stand out. Malcolm Forbes once said, "The biggest mistake people make in life is not trying to make a living at doing what they most enjoy." Look for a business idea that has a "fair" return on investment. Decide what is fair to you. It is ok to have a business and not make money if you do it as a hobby. But why not earn from your hobby as well? An Internet cafe business offers huge potentials. Start making your internet cafe business plan now before coming home for good to the Philippines. Real estate investing can provide Overseas Filipino Workers or OFWs extra income. Borrow private money and tell lenders that this is one of the safest ways to invest money.